From the left: Rev. 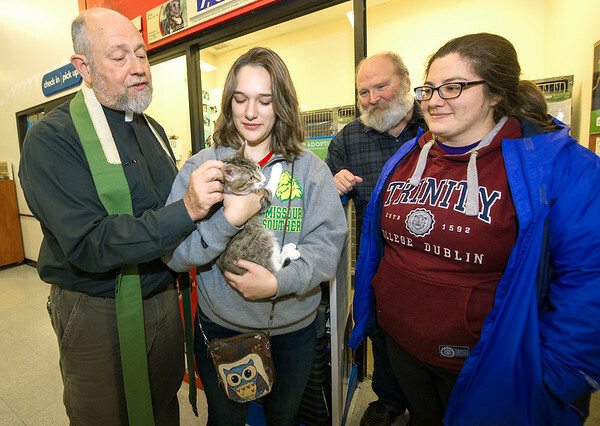 Ted Estes, of Grace Church in Carthage, Faith Escobar, of Pneuma at Missouri Southern, Dr. Jim Lile, of All Saints' Church in Nevada and Madi Kyger, of MSSU's Pneuma, gather for a blessing of the pets on Wednesday at Petsmart. Additional blessings are planned throughout the area, including the Joplin Humane Society.